At NEGRON Consulting, we are passionate about partnering with our clients, and the people and communities they serve, to help find the best solutions together. 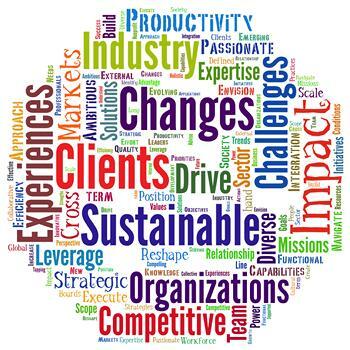 Our overall goal, regardless of the industry sector, is to identify and understand the internal and external strengths to leverage, and the explicit changes and actions needed to improve performance and meet strategic goals. This holistic approach by our team to understand the needs and challenges for our clients helps to ensure sustainable success. The success story selections listed below are just a sampling of client and industry professionals’ comments about our team and our solutions. These are included to illustrate how we are viewed and how we have helped our clients achieve, and often surpass, their goals. "NEGRON Consulting is not your typical consulting organization. The organization stands by its commitment not only to meet but exceed the needs of its customers, both in terms of quality of their services and their prompt turnaround. It took them less than two weeks to conduct numerous employee focus groups and provide me with detailed reports, analyses and recommendations. They are true professionals. I will not hesitate to call on them again." "Often turned to Michael to present difficult topics... ability to organize complex thoughts into easily understood verbal communications... insight into business workflows... his research and analysis... tremendously useful in determining whether strategy selected is appropriate within our marketplace. He has mentored people on our staff very effectively and provided instruction that is both positive and effective. I consider his work and his mentoring to be a a great value, because of both the high quality of the work, and the enduring value of the training which will increase ongoing efficiency." "Michael is an insightful and engaging coach, and a natural people developer. His attentiveness, listening skills and genuine concern for clients and colleague alike make him immediately credible and draw people to him. I leave every interaction with Michael enhanced and enriched." "Michael inspired me... I have also totally revamped the way I track current jobs that I am negotiating... the book (The OCTAGON Coaching Model) is great... I can go on for hours about Michael. The man is brilliant!!! PS: He's also a great role model for Hispanic youth." "Michael's facilitation skills and coaching abilities are superb. Individuals gravitate towards him because of his open, warm, and charismatic personality. He is a valuable asset to our programming and the organization." "Cindy is the perfect blend of mentor and coach... She made this one of the best workshops I've ever attended in my 30 years in Government... Cindy is skilled at quickly building trust with her coaching clients." It's like she works here!" To learn more about our approach and the Clients NEGRON Consulting has worked with, the Industries we serve, and our work in the NonProfit Sector, click on the appropriate button below.